Munna Bhai Chale Amerika, Munna Bhai 3: The next film of the most successful Bollywood film series – Munna Bhai will release in 2018. Sanjay Dutt, the Lead Actor of the series confirmed this News. The third part of the successful franchise “Munnabhai” is one of the most anticipated movie Bollywood. Sanjay Dutt added about his next movie with Mahesh Manjrekar which is an official remake of De Dhakka. The movie is a family film and movie is all about how a broken family reunites. He (Manjrekar) has adapted it well, let’s see what happens. When asked about Munna Bhai Chale Amerika, he said the movie will expect on the year of 2018. A few days back, the Munna Bhai’s co-star Arshad Warsi, who played the character Circuit. He stated that the film has delayed as Raju Hirani’s biopic on Sanjay with Ranbir Kapoor in the lead is yet to start. Actor Sanjay Dutt has released from Yerwada Central Jail in February 2016 after his serving of five-year for illegal possession of arms. 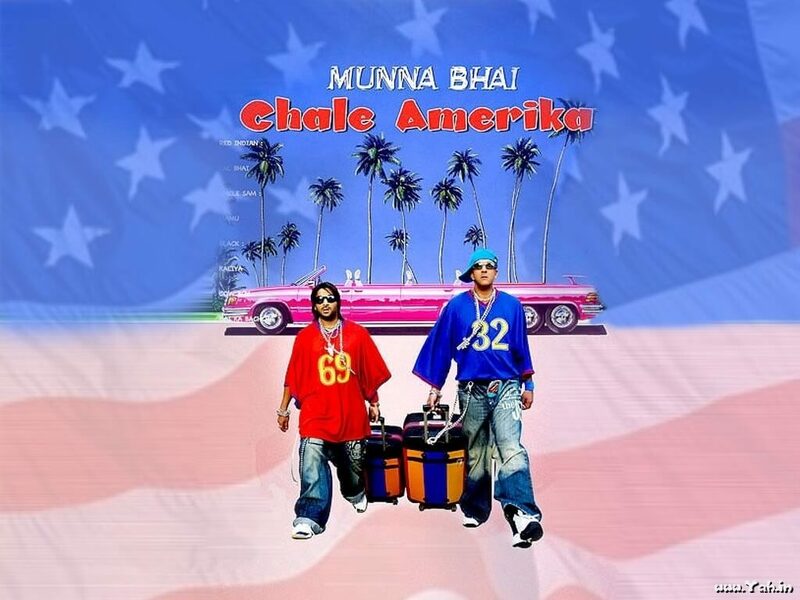 Munna Bhai Chale Amerika Movie will release in 2018. Munna Bhai franchise has delivered all time super hit like Munna Bhai MBBS and Lage Raho Munna Bhai. The entire Bollywood is waiting for Munna Bhai Chale Amerika from this successful series. Munna Bhai franchise is direct by Raju Hirani who has directed successful movie like Munna Bhai, 3 Idiots, PK. Stay tuned at WORLDHAB to get latest news updates.